Berlin: RB Leipzig stayed in touch with the Bundesliga's top three on Friday with a 3-0 win at strugglers Hanover 96 as Thomas Doll lost his first game in charge. 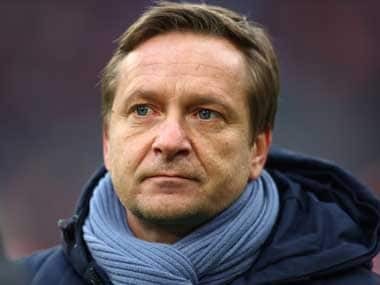 After a decade away from the Bundesliga, following stints in Turkey, Saudi Arabia and Hungary, ex-Dortmund coach Doll replaced Andre Breitenreiter last Sunday, tasked with keeping second-from-bottom Hanover up. Leipzig underlined the task he faces by battering the hosts as Hanover's winless streak was extended to nine league games by goals from defender Marcel Halstenberg and two Willi Orban headers. "We felt some uncertainty and tiredness, one or two must work on their fitness levels," said Doll. "You have to shape up in the Bundesliga — Leipzig played at a different level." Even without Germany striker Timo Werner, who was absent with a cold, Leipzig managed 21 shots on goal in sub-zero temperatures to give Hanover goalkeeper Michael Esser a busy night. A Halstenberg free-kick forced Esser into a save after just two minutes before Matheus Cunha, Werner's replacement up front, hit the crossbar on 19 minutes. Leipzig broke the deadlock right before the half-time break when Hanover defender Kevin Akpoguma conceded a penalty, upending Cunha in the area. Left-back Halstenberg drilled home the resulting spot-kick in the third minute of added time to make it 1-0 at the break. 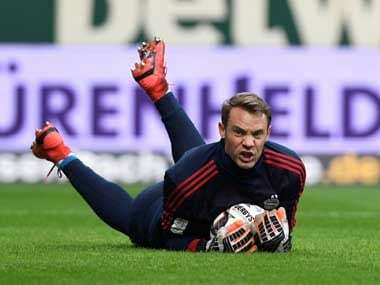 Leipzig swapped goalkeepers after the break after first-choice Peter Gulacsi suffered a pulled muscle, giving Swiss back-up Yvon Mvogo his first Bundesliga appearance this season. It turned into a scrappy affair, illuminated by Orban's pair of goals from set-pieces. A Halstenberg cross was unhindered by the defence and allowed to bounce at the far post for Orban to head home on 64 minutes. Then just before the final whistle, the burly centre-back added a second, this time from an Emil Forsberg cross, for his ninth Bundesliga goal of the season, seven of which have been headers. "I'm satisfied, we did not have enough depth in the first round, but did better after the break," said Leipzig coach Ralf Rangnick, who kept Emile Smith-Rowe, signed on loan from Arsenal on Thursday, out of the matchday squad. "Willi Orban is an absolute professional — he crowned his performance with two goals." 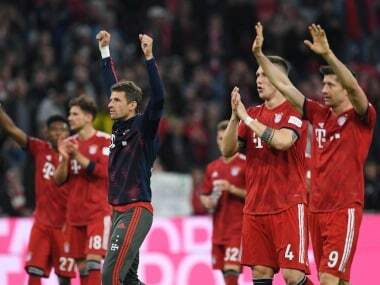 The victory consolidates Leipzig as fourth in the Bundesliga, which carries a Champions League place, opening a six-point gap over Eintracht Frankfurt, who host leaders Borussia Dortmund on Saturday.